If you wear contacts, you may be far more familiar than you’d like to be when it comes to eye infections and the costs associated with them. Even if you have been able to avoid such nuisances, according to a new study, it’s likely that your contact lenses are jeopardizing the health of your eyes. A research team from NYU Langone Medical Center has found that there is more diversity of bacteria on the eye’s surface of those who wear contact lenses than there are on those who do not wear them. Twenty people took part in the study, which was presented in New Orleans at the annual meeting of the American Society for Microbiology. Nine of the 20 individuals were contact lens-wearers while the remaining eleven men and women did not wear contacts. According to the research, the NYU Langone scientists found when the two groups’ results were compared, the bacterial diversity in the eye microbiome of the contact lens-wearers was more similar to that of their skin. During the research, the scientists took hundreds of swabs of parts of the eye and of the skin directly beneath the eye. These swabs, and even used contact lenses, were then analyzed in a lab to determine which and how many bacteria were in existence in the eye microbiome. Interestingly, while the researchers did discover high bacterial diversity in the eyes of contact lens wearers, and three times the usual proportion of Methylobacterium, Lactobacillus, Acinetobacter, and Pseudomonas bacteria, the results from the lab showed a greater collection of bacteria in the individuals who did not wear contact lenses. 5,592 strains and subtypes of bacteria were found in those without vision-correcting lenses compared to the 5,245 strains of those who wore contacts. Likewise, results from the swabs taken from the skin beneath the eye identified 3,849 strains from the non-contact wearers compared to the 2,133 bacterial strains found on the swabs of the contact lens-wearing group. The researchers do not yet have an explanation for these disparities, including why more Staphylococcus bacteria — greatly linked to eye infections — were found in the eyes of those not wearing contact lenses. It is likely that further research will continue, possibly discovering along the way a reason for why greater infection occurs in contact lens-wearers despite the discrepancies of the strains of bacteria in each group. 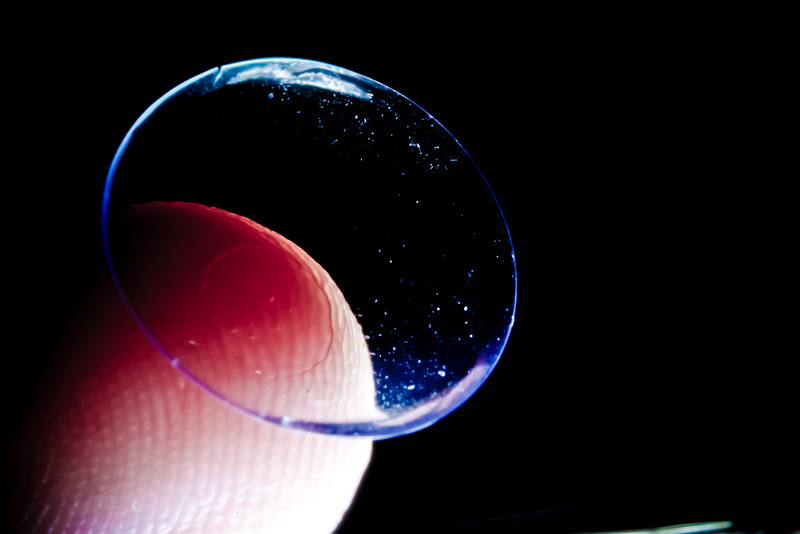 Dominguez-Bello, the senior investigator for the study, and her team also hope that further research will show if the alterations of the eye microbiome are a result of non-contact lens wearers’ fingers frequently touching their eyes or if they are from pressure on the eyes caused by the lens. Contact lens wearers probably shouldn’t despair as a result of these findings, but washing one’s hands before putting on or taking off contact lenses is probably a good place to start to reduce the risk of infection.